Pictured is the fire caused by a road traffic collision on Main Road, at Cutthorpe, in Chesterfield. A drink-driver caused a massive fireball after he crashed into another car which smashed into a home leaving thousands of pounds of damage with people injured. Chesterfield magistrates’ court heard on Tuesday, August 29, how Christopher Collins, 24, lost control of his VW Polo on Main Road, at Cutthorpe, near Chesterfield, before it collided with a parked vehicle which smashed into a residential property. The court heard Collins’s vehicle had collided with a parked car causing this vehicle to smash into the front of a residential property and both cars caught fire and the fire spread to the property causing extensive damage. Mr Chapman added that both vehicles had to be written-off and the passengers in Collins’s vehicle were injured including one casualty who received a broken spine. Collins, of Chester Street, Chesterfield, admitted to police that he had been driving the vehicle and he had crashed it and that he was the cause of the damage. Firefighters from Chesterfield, Staveley and Dronfield attended the incident to extinguish the blaze. 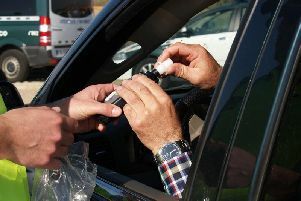 The defendant, who is of previous good character, pleaded guilty to exceeding the alcohol drink-drive limit after registering 52microgrammes of alcohol in 100millilitres of breath when the legal limit is 35microgrammes. Defence solicitor Bertie Mather said Collins is full or remorse and his three passengers conceded that they should not have got into the car and encouraged Collins to drive. Mr Mather added that Collins and his friends had been drinking strong craft beer while watching a football match and had decided to go to Cutthorpe to view a meteor shower. However, Collins, who works at a store in Matlock, lost control of his vehicle on a bend, according to Mr Mather, and he struggled to avoid the parked car. Magistrates stated they had listened to the case “with increasing horror” as they learned two of Collins’s passengers were seriously injured, two cars were written-off and serious damage was caused to someone’s home. They sentenced Collins to a 12 month community order with 150 hours of unpaid work. Collins was also disqualified from driving for 22 months but this could be reduced by 24 weeks if he completes a drink-drive rehabilitation course.